Pretty sure I missed the point of Lego Mindstorms, but you have to admit, this is some good alignment. Makey Makey piano: where a fifth is a literal leap. Each 11×17 sheet becomes one of the keys. I used aluminum foil to make a large conductive area, and copper tape to connect the foil to the alligator clips. Set the six keys in a row, and tape to the ground. Add black construction paper to represent the black keys. Connect to the Makey Makey using the alligator clips, and load the the Makey Makey piano app. If you have never used Makey Makey before, the How To page is a great introduction. It did work with shoes on, but there was more wear and tear on the keys. A lot of kids wanted to just use their hands. It’s a big leap to play Twinkle Twinkle Little Star. I made a rare Saturday appearance yesterday and went all in with a Building Extravaganza! all ages program. Photojojo always makes me smile. And while I love the photo print, the memory stuck in my mind is how excited my coworkers were. One moment in a long work day but enough joy to brighten a dreary day weeks later. And was there a dinosaur? Absolutely. Sometimes it takes something a little unusual to bring about a smile: an interesting architectural detail, a fun display, or even something as simple as a new toy. How are you creating joy for your customers? p.s. 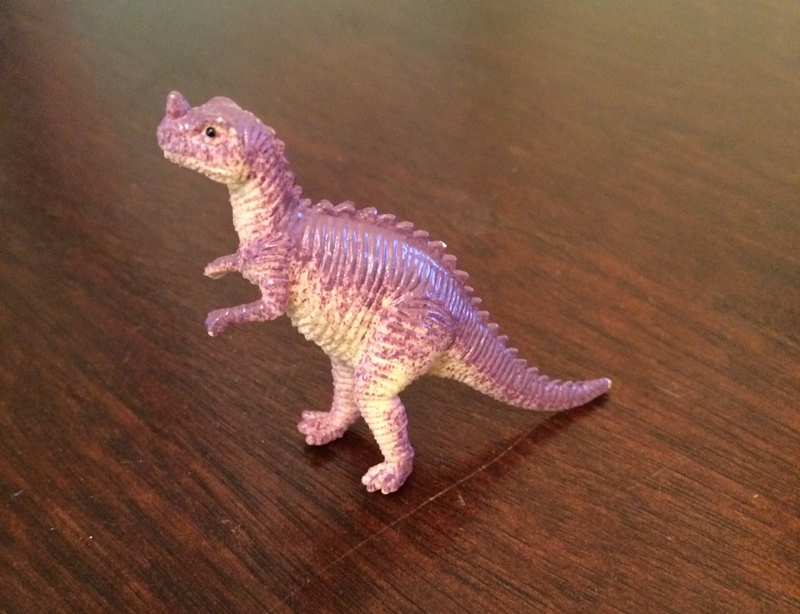 The new dinosaur is happily settled with my Photojojo Brachiosaurus at home. It’s a very happy bookshelf. This week we had an amazing training day to exchange program ideas. It was a blast — we got to be customers for little bits of time and connect with fellow librarians in the process. The final presentation was from a RAFT specialist, who let us try a few of their premade low-cost STEM kits. Armed with spoon catapults, the cotton balls and pompoms were flying, and we even got to keep the catapult, which I did, because hey, I own a catapult! And this is where the cat comes in. It turns out a spoon catapult is the perfect delivery device for a cat treat and adds a bit of enrichment for the cat, who gets to track it down. I’m not entirely sure how the cat felt about the activity itself, but the total number of treats distributed has increased significantly since the training day, so it’s going over fairly well. To build your own, you will need a plastic spoon, a rubber band, and a cork (one from a bottle of wine works great). Use the rubber band to attach the cork to the spoon. That’s it! 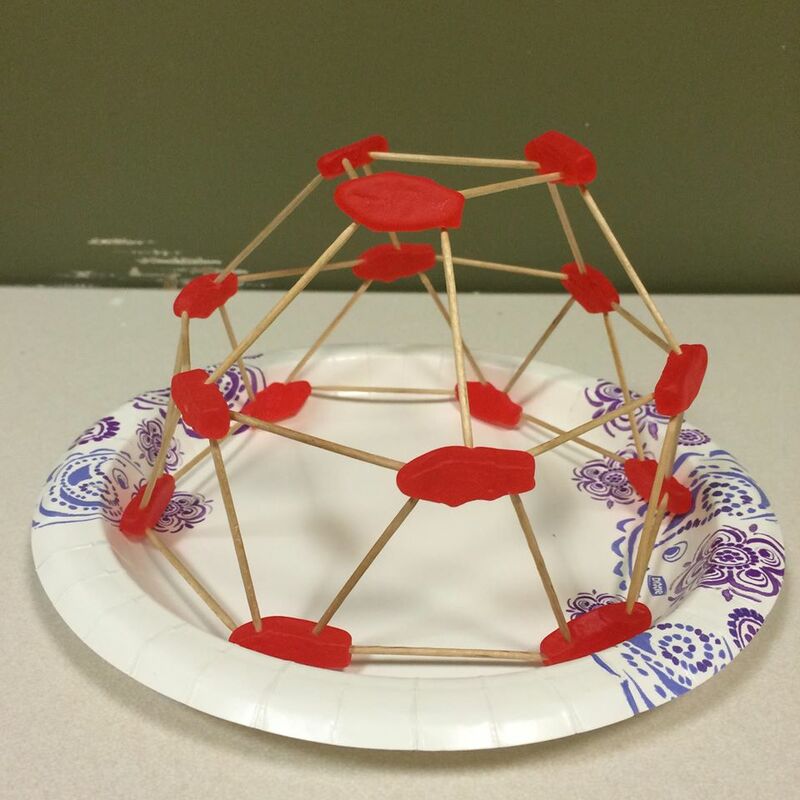 It’s also a great physical science learning activity. In an all-human environment, substitute pompoms, cotton balls, or other soft objects for the cat treats. This has been a rough week, hasn’t it? It’s easy to be angry. It’s easy to be filled with rage. And from my comfy seat on the corner of white and middle-class, it’s even easier to sit back and ignore it. Let it go. I cannot do that. But I also have been reminded that rage gets us nowhere. It’s unproductive, a waste of energy. And in my very public-facing job, it’s not exactly an appropriate course of action. My challenge to myself has been to think about how I can encourage positive change in my communities. To help people open their minds, their hearts, their arms, and see the world a little differently than they did before. Compassion is painful. That’s how you know it’s working. And of course, there’s this video on empathy, “feeling with people” and helps us feel compassionate. Challenge yourself today to feel compassion for someone you normally would brush off. Try for just a minute to see the world through their eyes. Listen to their story. And then take that experience into your next customer interaction. Grow your compassion, grow your community. Let’s do it.